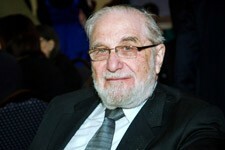 Rabbi Schnaidman currently serves as the shul's Rabbi Emeritus. He was born and raised on the Lower East Side where his father was a pulpit Rabbi. R' Schnaidman received his Rabbinic ordination from Yeshiva University where he was a talmid of Rabbi Yosef Dov Soleveitchik. In addition, he has a PhD in Philosophy from Columbia University. He served for many years as a Chaplain at Columbia University Medical Center at New YorkPresbyterian Hospital, a position from which he retired in 2011. He was also on the staff of YU's Office of Educational Placement for close to two decades. While working for YU in 1986 he was also serving as Rabbi of Congregation Emes Wozedek, which was then using space in Mt. Sinai. Soon after those two shuls merged Rabbi Schnaidman became the Rabbi of Mt. Sinai. He was senior Rabbi at Mt. Sinai until September 2009. As the neighborhood began attracting young singles and couples in the late 1990s and early 2000s, Rabbi Schnaidman along with the Board and staff of Mt. Sinai took forward thinking, and bold steps to encourage these new young residents to take an active role in helping run the shul, and giving them a voice in the shul's governance. These steps included inviting younger members to become part of the Board of Trustees, and adding additional minyanim during the week and on Shabbos, eventually resulting in the younger generation taking the reins of the Board of Trustees and the main Shabbos minyanim. Rabbi Schnaidman also gave his support to the Washington Heights Eruv during its construction and completion in the spring of 2006. As our Rabbi Emeritus, Rabbi Schnaidman remains an essential source of wisdom, Torah, and comfort to our community. Rabbi Schnaidman teaches a weekly shiur on tefillah and speaks periodically on Shabbat morning, holidays, and at Seudah Shlishit.